"It is critical to keep the pressure on ICE so that they do not continue to hold her indefinitely. Within hours, Nan-Hui was released from one jail to be taken to another—even though she has multiple immigration applications pending as well as court dates in both immigration and family courts." "It is important to read Asian American poetry, because it allows us access to an underrepresented perspective and to deepen our understanding of the diverse communities that make up America," poet Ravi Shankar, editor of Drunken Boatonline literary journal and author of "What Else Could it Be: Ekphrastics and Collaborations," told NBC News. "But just as there's no monolithic 'country' that defines us all, neither is there just one kind of Asian American poet." After we walk down the long hallway back to the cafeteria for Skyline High School's Brick Bash, ten-year-old Little Brother stops dead in his tracks when he sees the twelve-foot-tall skyscraper, all clear glass and blue angles, standing majestically at the entrance to the room. "Whoa," my son asks. "Is that all made of Legos?" "It's hard for us to find the kind of people who can do the math and communicate with others," Don Hicks, CEO of LLamasoft, the global leader in supply chain software design, said at his Michigan headquarters. "I struggle with the terms foreign-born or immigrant, but they're just people. They're just our guys. And we're just waiting around to see who are we going to have to help move." my article for nbc news asian america re Aasif Mandvi's "Halal in the Family"
"With Halal in the Family I had a chance to create an all-American Muslim family dealing with common forms of ignorance and prejudice, resolving them - in classic sitcom fashion - by the end of each episode." I'll be speaking Thursday at Ann Arbor North Rotary Club. I'll also be speaking Thursday on "A/PIA Media and Stereotypes" at a UM Intro to Asian Pacific Islander American Studies class in North Quad 2:40-4:00, 2435 North Quad (105 S. State St). On Friday, I'll be part of a reading for "Asian Americans in Michigan" at University of Michigan Department of American Culture, 3512 Haven Hall, 1-3. Free food and bubble tea. "For the U.S. to deport adoptees to a country they likely do not speak the language, do not understand the culture, and do not have any connections or resources is a reprehensible and shameful act," said March. "If members of Congress do not support this amendment, it is equivalent to objecting to the fundamental purpose and values of adoption." "We are so proud of the young protectors as they have stayed truly in the Kapu Aloha and have been training others to prepare themselves for staying in Kapu Aloha." 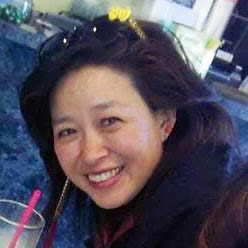 "We are alarmed by the continued threat of detention or deportation of Nan-Hui as it would mean permanent separation from her six-year-old daughter,"
"Unlike any other bias-crime statute in the country, N.J.S.A. 2C:16-1(a)(3) focuses on the victim's, not the defendant's, state of mind," wrote Justice Albin in his opinion. "The defendant's fate depends not on whether bias was the purpose for the commission of the crime but on whether the victim 'reasonably believed' that was the purpose."